1172 Truck Camper from Lance Camper Manufacturing Corporation. The flagship model from Lance Camper Manufacturing Corporation is known for its quality construction and wide array of features. 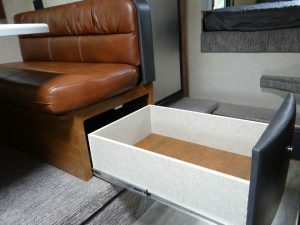 Some RVers may be surprised to learn that a pickup camper can contain the same quality, workmanship, and usable features as many Type B and Type C motorhomes — perhaps even exceed them. A prime example is the 1172 Truck Camper from Lance Camper Manufacturing Corporation. 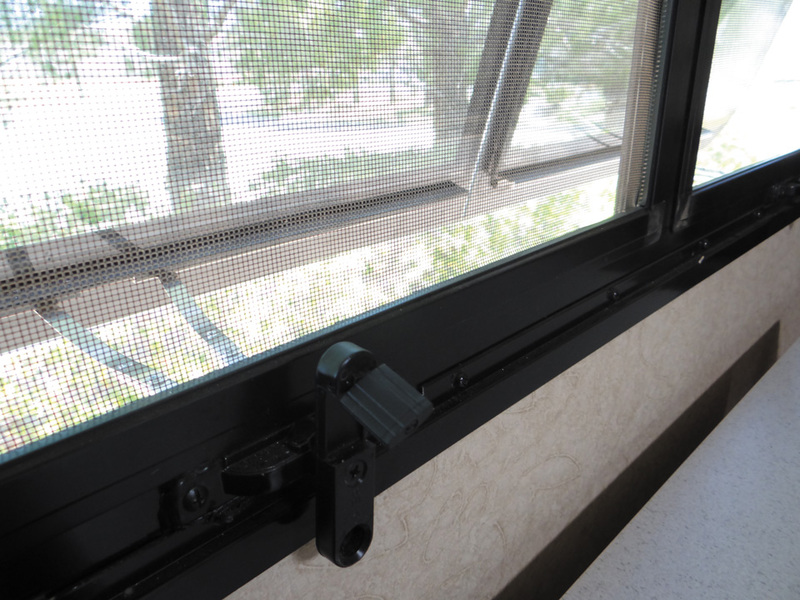 Dual-pane windows help to insulate the interior and tilt out to let fresh air inside the RV. Many consider the truck-mounted camper to be one of the most versatile types of RVs. It can go wherever a four-wheel-drive truck can — including terrain a motorized RV might not be able to navigate. Many motorhome owners tow a vehicle for day trips or general commuting while camped. And a good number have decided to downsize and move to a smaller RV. The niche held by truck campers satisfies both the need for a daily driver and a viable method of downsizing from a larger vehicle. Within that niche, Lance Camper has been building truck campers for more than 53 years and holds a majority market share. 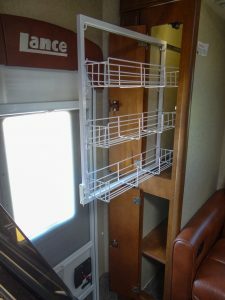 During a recent visit to the high-desert city of Lancaster, California, I toured the Lance facility and reviewed the 1172 Truck Camper, its flagship model. The exterior is constructed of Lamilux HG 4000, a high-gloss fiberglass; Azdel composite substrate; and block-foam insulation packed in between aluminum frame members. The roof is one-piece polyvinyl chloride (PVC), which transitions to a one-piece synthetic thermoplastic polyolefin (TPO) that extends over the cab and forms the front cap. A newer, gray-colored TPO front cap made a midyear appearance, along with enhanced graphics, after my initial review. All rails, joints, and wings incorporate the company’s proprietary LanceLock trussworks system. These trusses consist of interlocking aluminum and aircraft-grade extruded tubing. The resulting structure is said to be markedly strong and solid, yet lightweight. The cab-over bed, the roof, and the floor are insulated and laminated, which further creates a solid structure. One interesting concept Lance employs: The sealants used to assemble the complete unit include an antiwicking material that prohibits moisture from transferring into the laminated walls. Moisture intrusion is the biggest cause of RV damage — which can lead to sidewall delamination, mold, and deterioration. All windows are radiused, dual-paned, and tinted. Lance uses stainless-steel external fasteners rather than the commonly used plated fasteners that are prone to early oxidation and corrosion. Four remote-controlled electric jacks are secured to the corners of the unit; the front two are positioned on swing-out brackets that provide ample clearance for mounting and dismounting the camper from the truck. Aftermarket tie-down systems produced by Torklift or Lippert can be added by the dealer. Torklift also offers the SuperHitch extension system if the buyer chooses to tow another vehicle behind the pickup. Stock exterior features include a Torklift Revolution entry step; docking lamps; LED lamps and turn signals; radiused compartment doors (all keyed alike); an emergency exit in the cab-over section; a dual-pane Heki skylight; and an outside faucet/shower assembly. 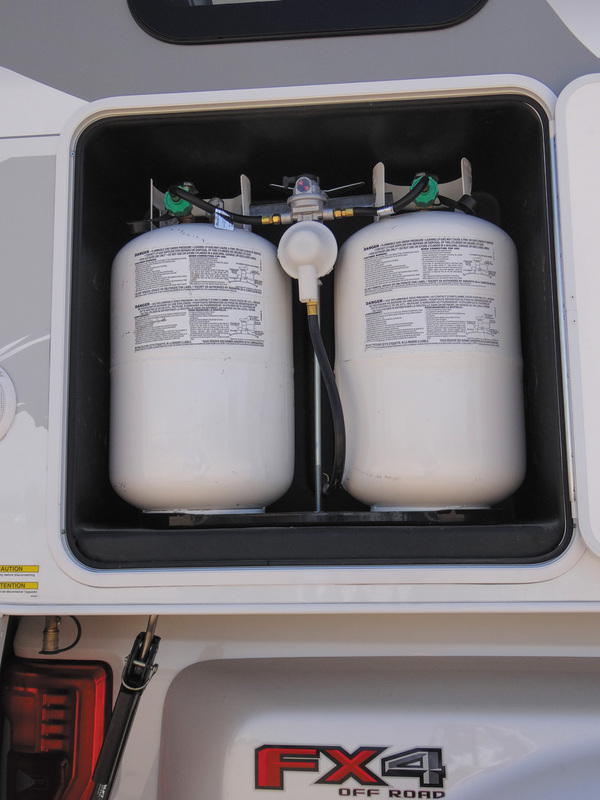 The 1172 contains two 7-gallon propane cylinders, which reside in a dedicated, insulated compartment. 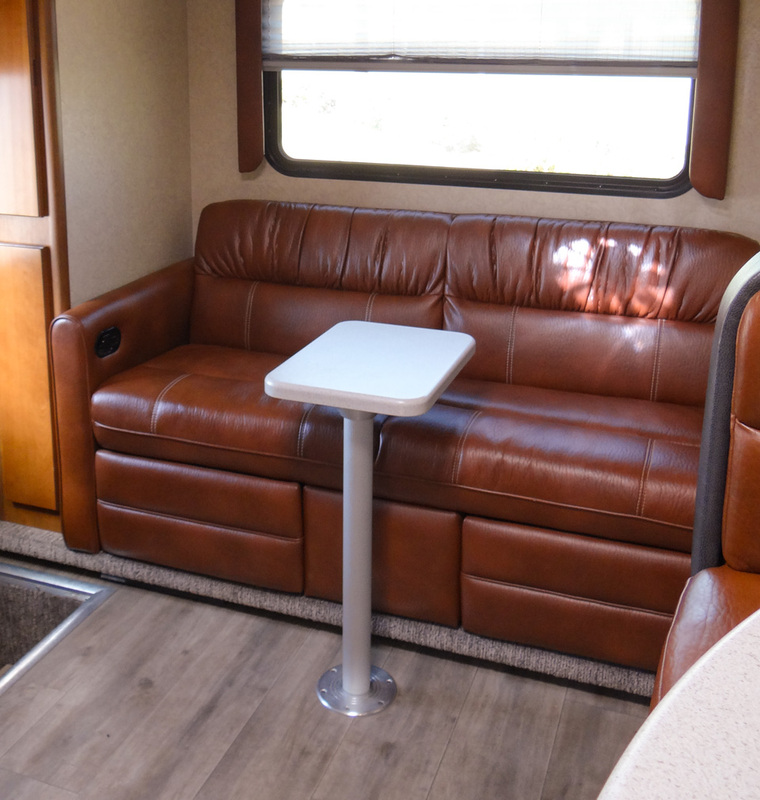 The 1172 review unit was loaded with all the available options, including a keyless entry lock; an outside propane quick-connect fitting; a backup camera; a 14-foot electric awning with LED lighting; a solar charging system; an electronic battery separator; and a satellite antenna system. Dealer-installed suspension upgrades also are available to enhance truck steering and handling, as well as Lance’s own special cab-over struts. This unit also sported the “4 Season Certified” All Weather Package, which includes dual-pane windows; a winterizing kit; heated holding tanks; an insulated bed pad; insulated roof hatch covers; and insulated compartments for the propane cylinders and the batteries (mounted in the stepwell). The 1172 also included the Lance Load Roof Rack System, with ladder, to facilitate storing camping and hobby gear up top. At the rear of the unit, below the rear slideout, are two compartments. One contains the transfer switch and electronics for the slideouts; the other provides storage space. Another small hatch reveals a tubular storage area for the sewer hose — a nice touch that keeps foul odors away from other stowed goods. The exterior driver’s side houses the generator and wet bay in the rear wing, along with the battery disconnect switch and cable connections for park and satellite reception. An absorption refrigerator is mounted in the slideout on this side. Two more roomy storage compartments, accessed from the exterior, are below the dinette window. The sewer hose dump assembly and the detachable shore cord connect from underneath this section. On the passenger side, just forward of the side-mounted entry door, is the 20,000-Btu forced-air furnace. Below the galley window, twin DOT cylinders are mounted in their insulated compartment. An exterior 120-volt-AC receptacle and the fresh water fill are also on this side, just to the rear of the water pump access door. Stereo speakers spill out tunes from this side as well. The water heater is mounted in the front right corner. A graphic of a mountainside illustrates the outdoors spirit of this truck camper. 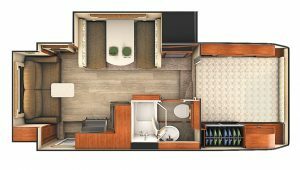 With the dinette slideout on the street side extended, and another slideout opening out the rear, the 1172’s interior expands to reveal all the expected accoutrements found in other RVs: full kitchen, dry-bathroom amenities, dining area, lounging space, and a 60-inch-by-80-inch queen-size bed mounted in the overhead cab. All windows are treated with slow-rise day-night shades, plus valances. The sleeper sofa features individual flip-up leg rests and is flanked by a removable pedestal table. In the fit-and-finish department, one of the first things I noticed is how seamless and tight all the cabinets fit to the ceiling and other components. The traditional L-shaped galley contains an oven and a four-burner stove mounted just forward of the entry door, with a convection-microwave oven in the cabinet above. Turning the L is an under-mounted, residential-style, wide galley sink, as well as a flip-up counter extension. A space-saving HepvO waterless valve displaces the traditional, low-hanging P-trap under the sink, removing concerns about maintenance or winterizing procedures associated with RV P-traps. To the left of the entry door, a comfy sofa is nestled in the rear slideout; two vertical storage cabinets (one containing a slide-out pantry rack) are directly to its left. Individual leg rests flip up to create a relaxing setting. A small removable table accents the sofa when necessary. I did note that one cannot enter the 1172 when the slideouts are retracted for travel; the rear slideout needs to be extended, at least partially, to gain access. The side slideout also must be extended to reach the lavatory. Such situations are often unavoidable in the small footprint of a truck camper. They should not be considered a deal-breaker, in my opinion, considering all the amenities aboard. 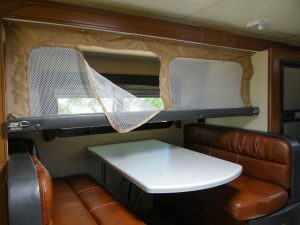 Above the dinette, a fold-down bunk with mesh safety restraints protects sleeping children or stowed items. The convertible dinette sits across from the galley; two sleeping berths can be created here when needed. Locking, full-length storage drawers below each bench pull out to provide additional space for stowing gear. 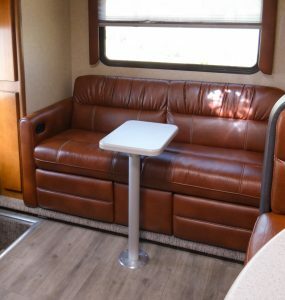 Mounted above the dinette is a fold-down, child-restraint bunk, which also converts to extra storage space. 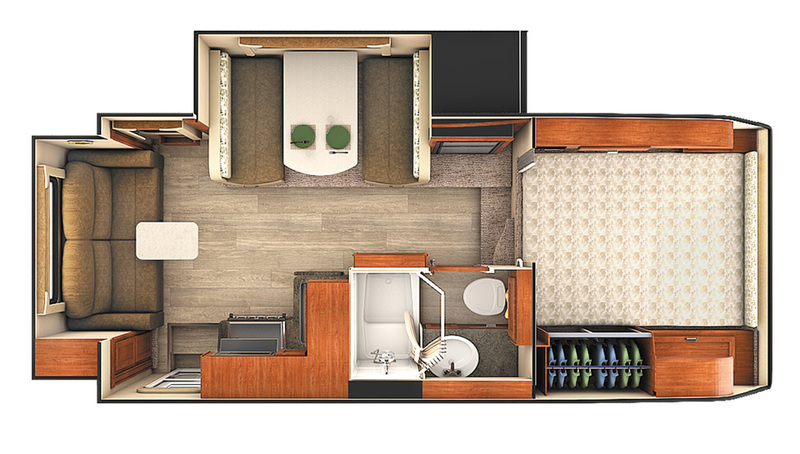 Between the galley and the lavatory, a full-height wall holds the fully adjustable television, which can be viewed from either the dinette, the rear lounge, or the front cab-over bed area. More storage racks and nooks are included in this section. In fact, Lance designers seem to have claimed every unused spot for storage. Two cabinets, one with a slide-out pantry rack, provide ample storage in a small space. 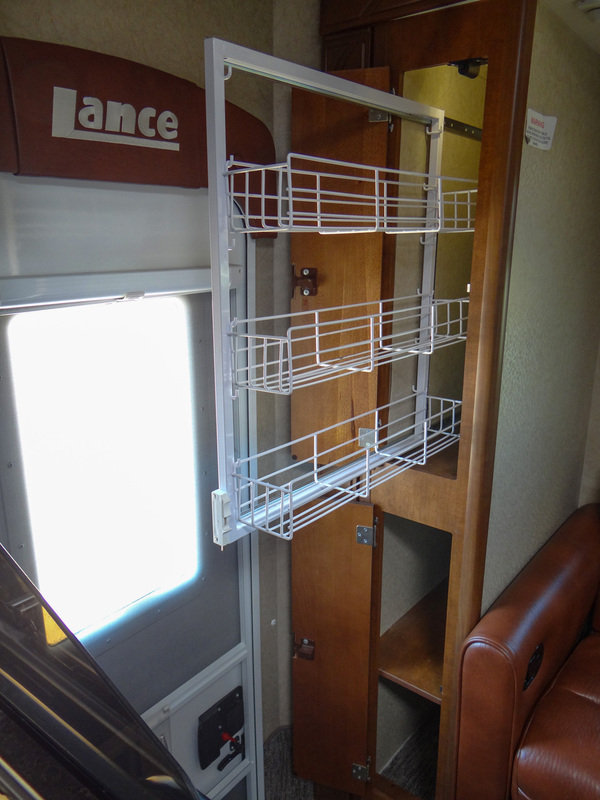 The full dry bath is outfitted as nicely as what’s typically found in small motorhomes. One interesting feature that contributes to a larger feel inside the 1172 is a double-jointed shower curtain rod that knuckles outward from the enclosure, providing more elbowroom. From my perspective, the homiest location in a truck camper is the main sleeping area, and the 1172 does not disappoint. The overhead cab includes a 40-inch-by-60-inch queen-size mattress. This review model also was outfitted with the optional Lance Bed-Maid Sleep System: dual-layer sheets and pillowcases, which provide thinner and thicker layers depending on what sleepers prefer. Behind mirrored sliding closet doors on the right side is a small wardrobe, with a storage cabinet just forward of that. A small shelf extends across the entire front cap for yet more space to stow items. The left side of the unit features both a wall and a ceiling-mounted cabinet, as well as the Bluetooth audio system. Deep roll-out drawers under each dinette bench extend fully, providing easy access to their contents. Our review unit also was equipped with a folding privacy door and an alternate egress escape window. 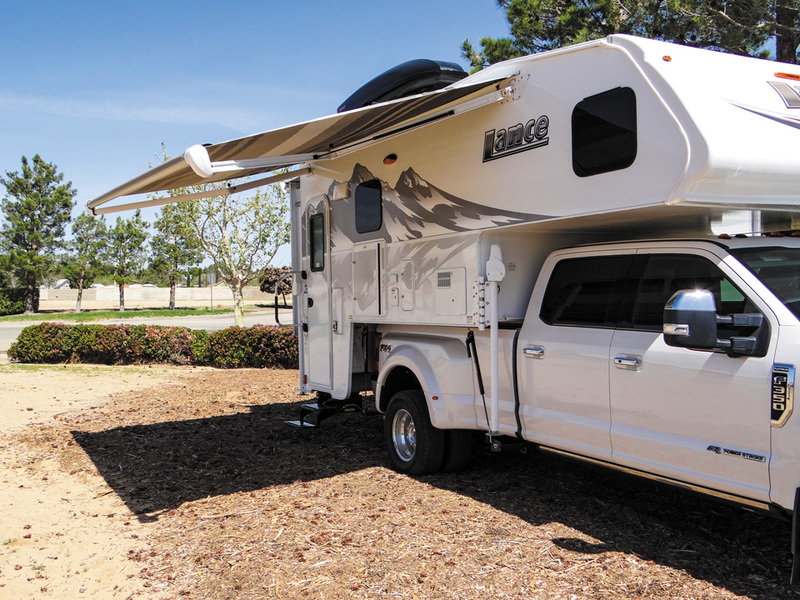 When customizing a pickup truck with an assortment of aftermarket add-ons, such as steering and suspension systems, the Lance 1172 becomes a versatile RV available for any active family. And don’t forget: RVing is more than a hobby; it’s a lifestyle! Lance’s new annex has added 60,000 square feet to its construction area in Lancaster, California. Though Lance subsisted for many years in its current manufacturing facility, company officials determined that to successfully expand market share and increase the number of units produced each week, something had to be done. 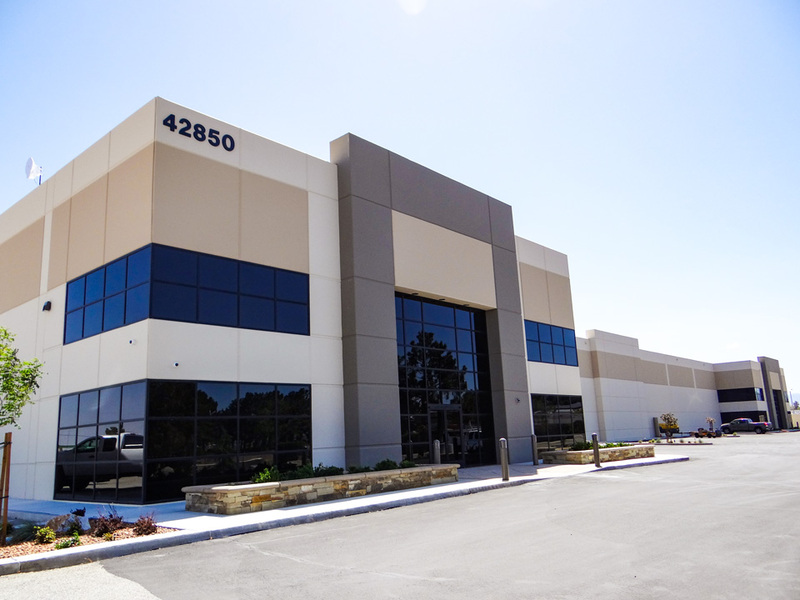 Enter a new 60,000-square-foot production annex, located just a block down the road. This brought the total of Lance’s production area to 141,000 square feet, on a 22-acre campus. 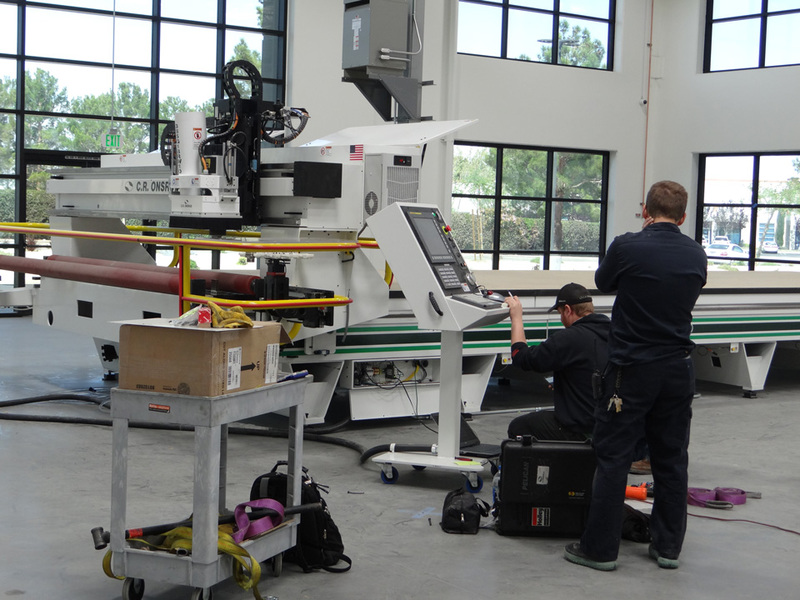 Completed in August 2018, the additional space now houses the bulk of Lance’s laminating equipment, freeing up much-needed space in the original facility for cabinet construction and general production. Strategically laid out in a huge L shape, the pressure/pinch roller laminating stations are sequential, beginning with the arrival of incoming raw materials on through each completed section. As wall, ceiling, and floor structures pass through each station, they are moved along on large roller tables and fed into the machinery. Workers configure programming for the machines. Once they are set up for each different wall, ceiling, or floor structure, the process is automatic. Machines at the Lance facility are programmed with production specifications for the individual structures. One computer-controlled machine glues sheets of foam insulation to the appropriate backing. Another automated process routes the insulation for placement of the structural tubing and other openings, such as vents, windows, doors, and compartments. Technicians use an overhead laser alignment program to precisely place mounting supports for attaching cabinets and other components. One intriguing feature of the new building is the inclusion of ceiling misters, which hydrate the complete interior of the building automatically. This maintains a climate conducive to the laminating process. Lance Camper’s focus on growth no doubt attracted the attention of REV Group, which purchased the company in January 2018.